With world renowned events like the San Diego Comicon, and hot sport teams like the San Diego Chargers and San Diego Padres, it’s no surprise that San Diego is growing economically and in population every year. With that in mind, there is a housing market and commercial office space need. With a 3D Matterport Virtual Tour, theVR helps San Diego based businesses display stunning residential real estate homes and properties to local San Diego and out-of-state prospective clients. Businesses looking to expand locations are constantly on the lookout for commercial properties to buy and or rent. 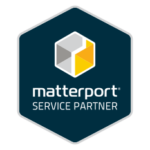 Properties with a 3D Matterport Virtual Tour have prospective clients more likely to call 95% of the time, and will visit the San Diego based property on-site at least 3xs (statistics per a Matterport study).